The Plonk red wine club has always been among our favorites because of the proprietor's preference for quirky but delectable wines. Etty Lewensztain sources interesting wines made from grapes and regions you've never heard of (and some you have). Whether you choose four or twelve bottles you'll be glad you picked Plonk. Lately we've come to think of Plonk as the "Somm club" that isn't run by a sommelier. With a focus on wines under $30 that will delight any curious wine drinker, we think the value is top notch. Also, unlike most wine clubs, if you're thinking of going red-only or white-only, you'll actually get four different selections (three of each if you upgrade to 12 bottles). When it comes to Plonk we have little to ask for in the improvement department. Because the wines are so great, we'd really like to see a more giftworthy version of the subscription which includes gift wrap and maybe even store credits so they can order more of their favorites. A Red Wine Club membership costs $110.00 for 4 bottles of wine. Free shipping plus sales tax where applicable. The price per bottle, with shipping, ranges from $23.75 to $27.50 depending on how you configure your membership. Shipments are sent monthly, or quarterly. Subscribe and cancel any time or pre-pay for a fixed number of months, as a gift or for yourself. IMPORTANT NOTE: We reviewed the 4-bottle monthly club and re-used the photos here. The two-bottle club comes from the same selections as the 4-bottle club, but only sends two of them. There are a small handful of wine clubs out there designed for adventurous wine drinkers who want to expand their palates, and are willing to take a leap to try things they'd never otherwise get to try. Plonk is one of these wine clubs. This wine club focuses on excellent wines at affordable prices. There are cheaper wine clubs, and there are wine clubs that offer more expensive wines, but no other club delivers this type of quality at this low of a price. Except maybe their main 4-bottle wine club. Few wine clubs offer, much less feature, organic and biodynamic wines. There are myriad reasons for this, including the fact that most wineries are organic or biodynamic because it's good agricultural sense, even if they're not certified or promoting it. The Plonk Wine Club is best known for its hands-on, highly personal, and very prompt customer service. Unlike other clubs, where you might get shifted to a call center in a far off country or an automated email queue, the owner of the Plonk Wine Club is always available—and loves to—to chat over the phone and exchange emails with members, like a personal wine concierge or sommelier. Detailed tasting notes and expert recipe pairings. Etty is a trained chef who personally creates a recipe for every wine in every shipment. Now with a 100% Money Back Guarantee! Many wine clubs offer a guarantee, but few of them can be found for wines of this level of quality. We're pretty impressed with this wine club and we think you will be, too. We tried the Scholium Project wine first. This is among the most interesting wines we've ever tried. The story behind this winery is fascinating, and Etty's willingness to showcase such brave winemaking moves in her wine club tells us as much about her, and her philosophy of wine-drinking, as it does about the mad scientist behind the Scholium Project. When we first poured the wine, we couldn't help but notice the color—a pale salmon color, usually reserved for luscious rose wines from Provence, due to a small amount of intentional oxidization. At cooler-than-room-temp, the wine exhibits a bright palate, and amazingly a nutty aftertaste. Almost like Sherry, but much lighter than Sherry. We decided to cool it down further and found, while the wine has unique properties that make it interesting to drink on its own, it was extremely food friendly. One day we had it with spinach and ricotta ravioli and the next chile verde chicken burritos and rice. It went beautifully with both, which might make this the most versatile pairing option you'll find after Champmagne. After this lovely surprise of a wine, we can't wait to find out what a Malagouiza tastes like! Rare Hidden Gems: Explore an eclectic international selection of organic, biodynamic, and limited-production wines made by the world's absolute best boutique wineries. A Wine Adventure: Taste rare artisan wines made from exotic indigenous grapes that hail from the most intriguing wine regions across the globe. Incredible Value: Experience unique wines of unprecedented quality that majorly over-deliver on their price. The Ultimate Convenience: Shipments delivered right to your home or office every month. No membership fees, no hassle. Expert Recipe Pairings: Detailed tasting notes and inspiring food pairing suggestions delivered with every single shipment. Get a FREE CUSTOMIZED PLONK WINE CLUB PROFESSIONAL-GRADE CORKSCREW in your or your gift recipient's first shipment when you sign up for any of our top rated wine of the month clubs for 3 months, 6 months, 12 months, or ongoing! 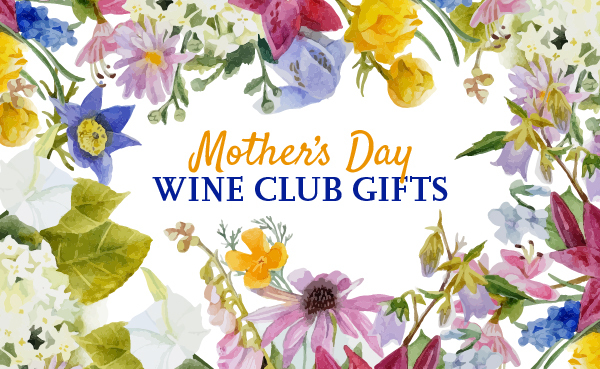 Plonk Wine Club memberships and wine club gifts that have a duration of 3 months are prepaid as a one time charge of $149.97 (plus applicable tax) at the time of purchase. This charge includes the cost of the wine plus monthly shipping. Plonk Wine Club memberships that are ongoing, or that have a duration of 6 or 12 months are charged in increments of $49.99 (plus applicable tax) on a monthly basis on the first day of every month for the duration of the membership. This monthly charge includes the cost of the wine plus a flat shipping fee of $20.00 per shipment. Plonk Wine Club shipments get sent out the first Monday of every month, or shortly thereafter should a national holiday fall on the first Monday of the month. Members who purchase a Plonk Wine Club prior to the 31st day of the month (or the equivalent of the last day of the month) will be included in the next scheduled club shipment. Members who purchase a Plonk Wine Club after the 31st day of the month (or the equivalent of the last day of the month) will be included in the following month's club shipment. Shipments may take between 5 to 10 business days to arrive.